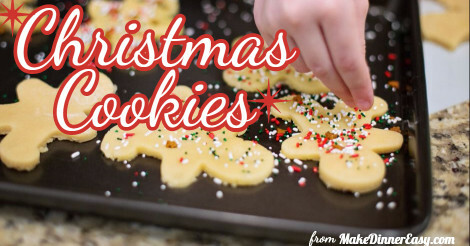 With your help, this collection of Christmas Cookie Recipes can turn into a giant virtual cookie exchange. I will be adding some of my easy cookie recipes and would love to add yours too! Some of my best recipes have always come from my friends, and I'm looking forward to trying your special recipe as well. In addition to discovering new recipes you can also come back to this page and rate them after you've made them. Let the baking begin! Love Christmas? Here are some other sites that I've found that have fun Christmas ideas!